What are the benefits of stainless steel lights? 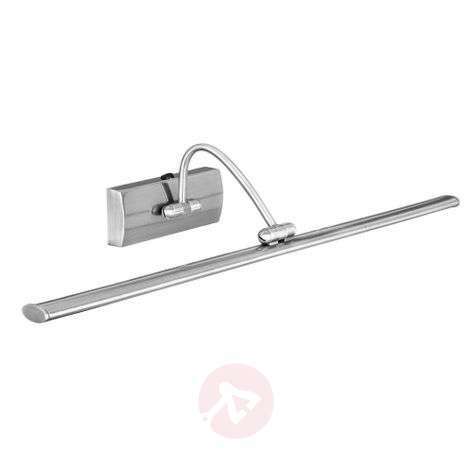 Which features do stainless steel wall lights come with? How do you install wall lights and at what height? 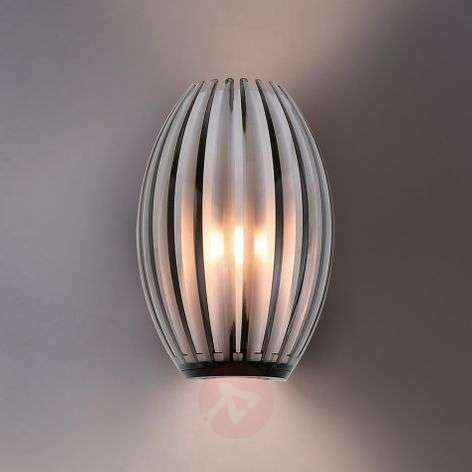 Why should I choose a stainless steel wall light? And what do I need to consider with these lights? You can find our complete guide to stainless steel wall lights here! Outdoor wall lights do not have an easy life! Rain and hail pound against the housing, in summer the sun bears down and in winter they need to withstand temperatures of minus ten and below. And, if we are not talking about solar lights, which love the glaring sunshine more than anything else, the lights have to deal with all kinds of environmental conditions. ...you can even increase the service life of your outdoor light. But it is the material from which the light is made that determines its durability. 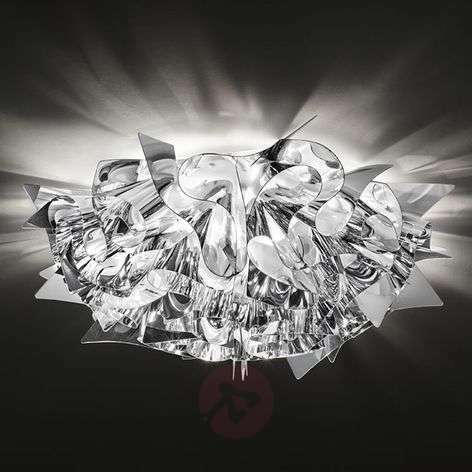 And it doesn’t matter who you ask, everyone agrees: stainless steel wall lights are a great choice. But stainless steel does not represent a seal of quality by itself. Stainless steel comes in various grades. The best strategy is to buy high-quality products. Branded products from STEINEL, PHILIPS or Delta Light make a great choice. And we also sell lots of products under our own brand name Lampenwelt.com which have been designed to meet customer requirements and the demands of outdoor use. Without doubt the best lighting solution. Compared to traditional light bulbs, they save up to 90 % energy; they are switch-resistant, and they offer up to 50,000 hours of service. As such, they are the best choice for most (if not all) uses outdoors. A sensible choice whenever the lighting is being used for practical purposes. Motion detectors offer economical lighting. In other words, the light only shines when you need it to. As a result, they save energy and protect the bulbs. Do not opt for compact fluorescent lamps in this case, however. They require a warm-up period to reach maximum brightness. As such, they are not suitable for lights that need to shine immediately as and when required! By contrast, LEDs shine at 100 % brightness immediately (just like traditional light bulbs and halogen lamps). Thus, they are equally suited to illuminating house entrances and protection against intruders. A light that shines both upwards and downwards can also be used for decorative purposes. It is important to remember that reflective surfaces do not have much impact outdoors. As a result, if the light shines upwards onto the wall of the building, it may look fantastic, but it won’t light up the adjacent path. 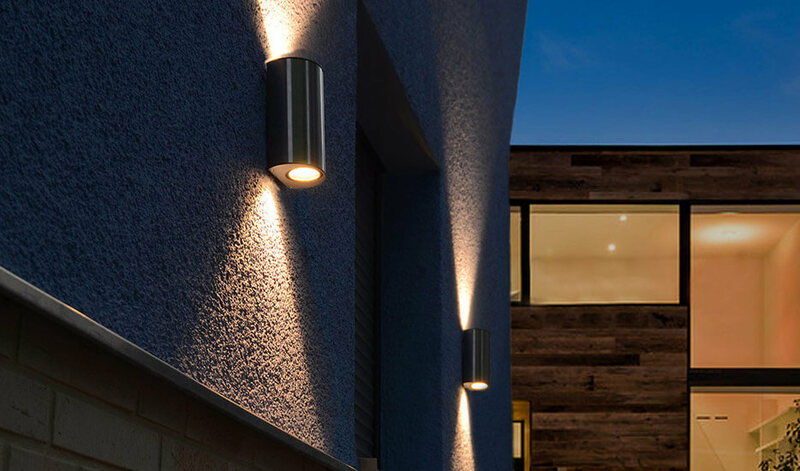 Use stainless steel wall lights with a two-sided light output to enhance the look of your external wall. You should also avoid motion detectors in this case. 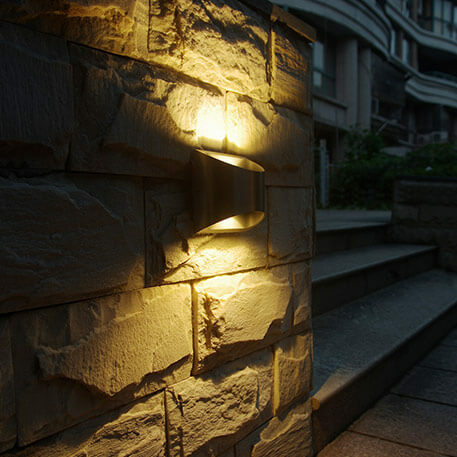 After all, the external wall will look its best when the light shines all the time. Luckily, LED lighting technology also helps you to save electricity. 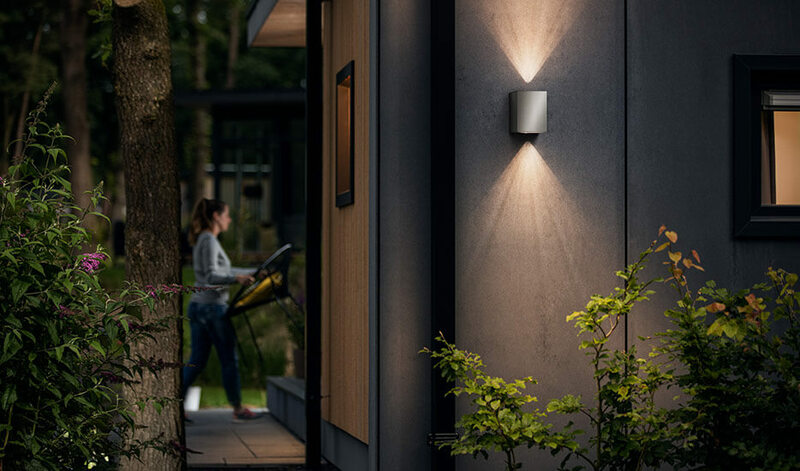 Stainless steel wall lights need a mains connection on the external wall, unless they are solar-powered. You should, ideally, hire an electrician to install the light. Your parcel from Lights.ie will include assembly instructions for your specific light. This is the most important tip when it comes to installing them – be it indoors or outside. If the wall light at the house entrance dazzles you so much as you approach the door that you have to look away, it is not fulfilling its purpose. If you cannot see your surroundings properly (because you are being dazzled by light), you can easily trip, miss steps or walk into a plant pot. To avoid this, install the light around 5 cm above eye level, in other words higher than 1.70 m to 1.80 m. Of course, it also depends on the light emitted (whether it shines towards you) or whether it has a diffuser to prevent glare, made of polycarbonate, for example. Needless to say, there shouldn’t be a risk of catching your woollen jumper on a corner of the light housing and it shouldn’t be possible to hit it with bags full of shopping either. Even if this wouldn’t cause you any harm, it could damage the light. Both can be avoided. The easiest way is to install the lights higher up. Protruding lights can restrict already limited space in narrow alleys for example. 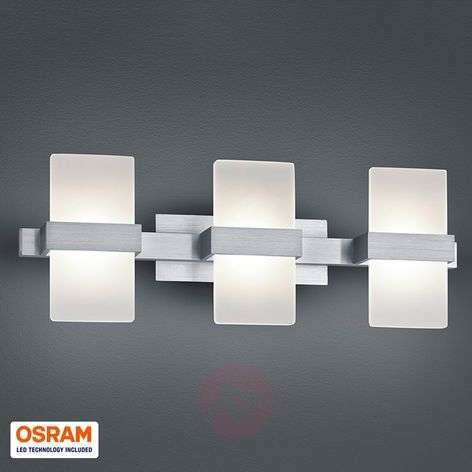 In this case, it is worth opting for a light with a lower protrusion or depth. Lights.ie provides the depth information for each product within the product details. Do you need to talk to someone about lights for your property or do you want some advice? Simply call our team of experts on +353 1 699 2138 or use our contact form. We look forward to helping you to illuminate your property efficiently and impressively with our products!